A little bit airy, a little bit tough. 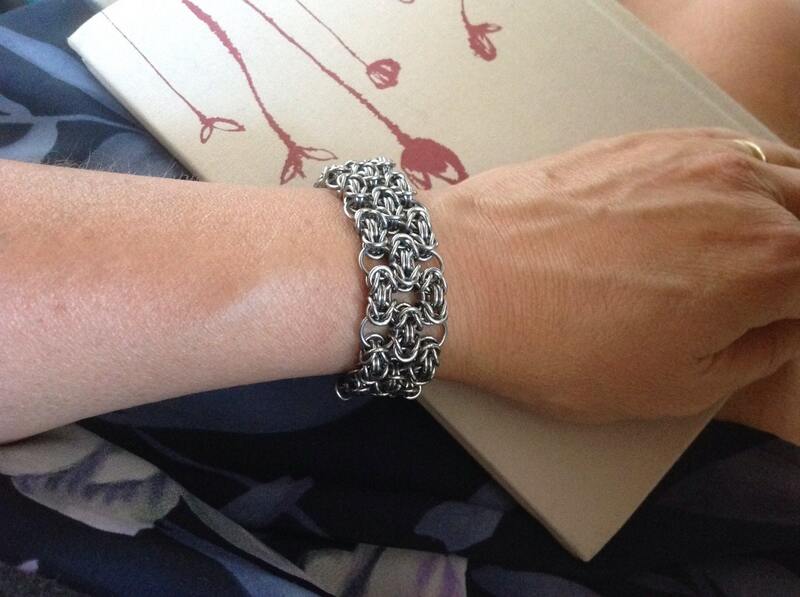 This bracelet is made from units of Byzantine weave linked together with larger rings into a lacy cuff with a soft drape. 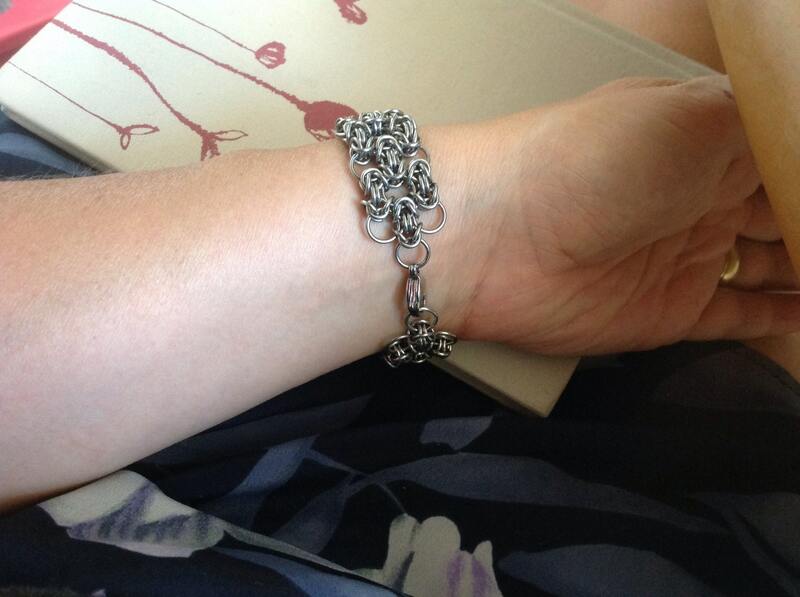 The metal is stainless steel so it will not tarnish, fade or discolour. The finished piece is tumble polished to remove any rough spots. The width is 19 mm (3/4 inch) and weight is 35 grams (just over an ounce) for the 6 1/2 inch length. 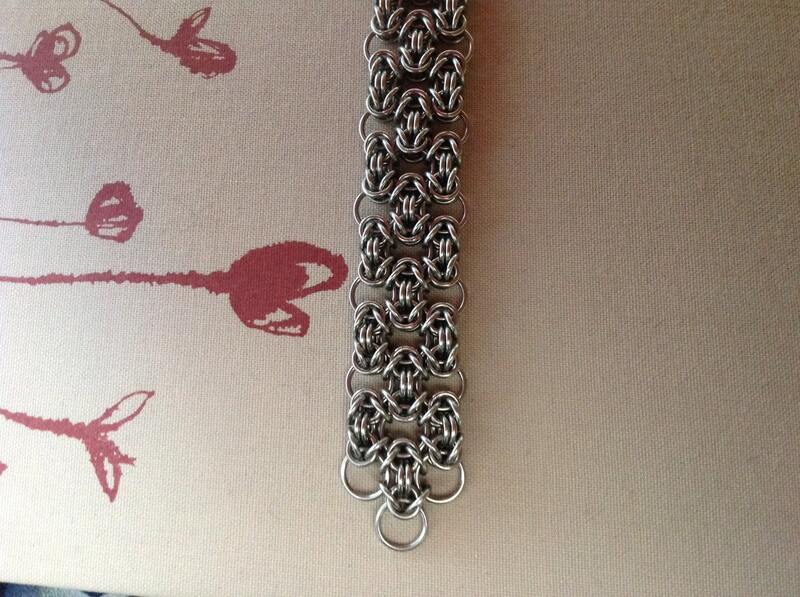 Please pick your preferred length when ordering and I will adjust before shipping. The clasp is a 15 mm stainless steel lobster claw, but I can substitute a stainless steel toggle clasp (loop and bar) if you prefer, just send me a message. 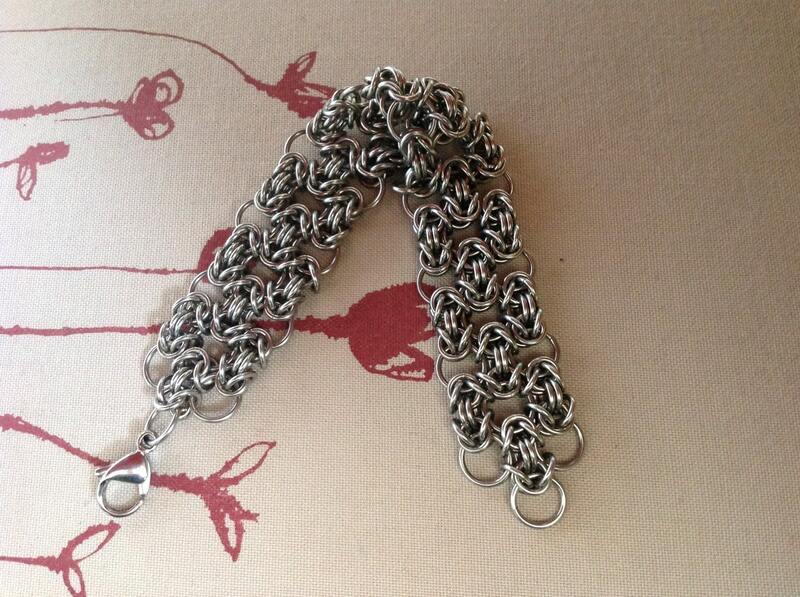 If you prefer a broader cuff I can also make this to any width as a custom order.